Iron Maiden Night 2nd July. 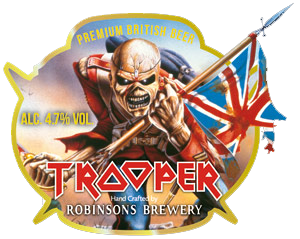 To celebrate the launch of Robinson’s The Trooper, the new 4.8% beer brewed with Iron Maiden‘s Bruce Dickinson, we will be holding a special Iron Maiden evening on Tuesday 2nd July from 7pm. Denims, leathers and t-shirts are obligatory and we’ll be playing toe-tapping top tunes from London’s top hairy metal combo all night. We have two casks of the Trooper for your enjoyment. After our recent Beer Belles afternoon when the girls quaffed nine gallons of Lincoln Green ‘Go Bellistic!’ in less than four hours, we can’t see any problem in you metal heads polishing both these casks off! 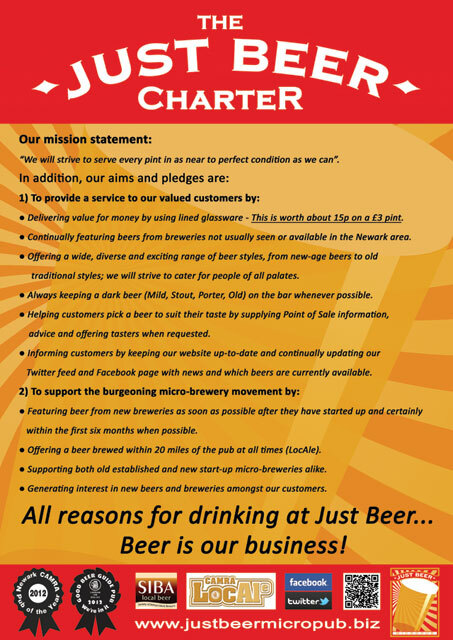 So dust off those denims, get your wigs on, start practicing that air guitar and get metal at Just Beer on July 2nd. This just will not do! I will be walking the Ceredigion Coast Path on that day! Just as well that I tried it at Download last Saturday!